It’s official. You could be wearing what the ‘Kings’ wear off the field. We are proud to be the official leisure wear partner for the Kings XI Punjab team this IPL season – Wear what your favorite cricketers will be wearing. Wear the Punjab Pride. We are mostly used to seeing them playing on the field and we must admit we like them best in their uniforms. However, we got a little curious and wanted to see how they are without the bat and the ball. 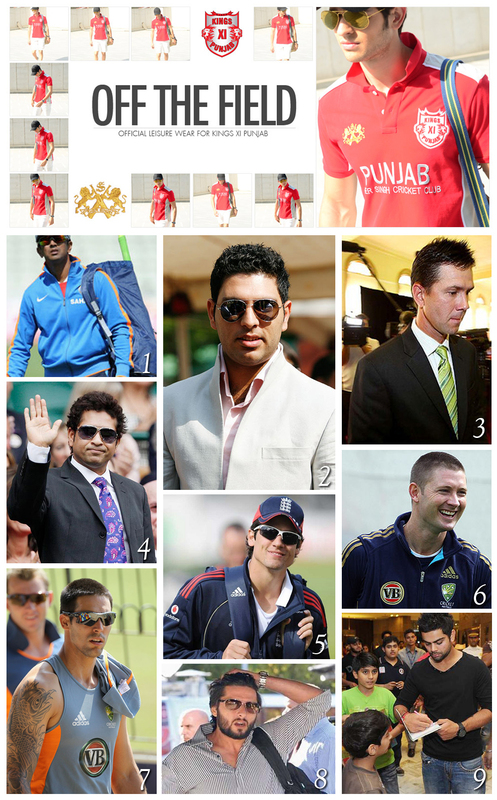 These are some of our favorite cricket stars quite off the field. 1. Rahul Dravid 2. Yuvraj Singh 3. Ricky Ponting 4. 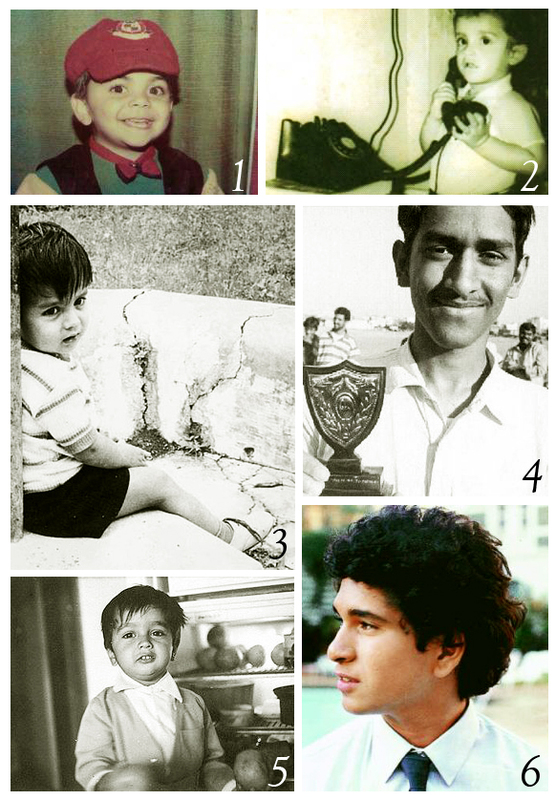 Sachin Tendulkar 5. Alastair Cook 6. Michael Clarke 7. Mitchell Johnson 8. Shahid Afridi 9. Virat Kohli. Get your Cricket Off the Field gear here. They have made us proud, instilling in us, time and again, a great love for the game. We take inspiration from these teens and toddlers who’ve grown up to win our hearts. And we also take this opportunity to wish the handsome Sachin Tendulkar a very happy birthday. Our Sher Singh Kids collection is here to give your little guy his own Cricket statement. After all, he is the future ‘Man of the Match’. A long time ago, during the middle ages, an English shepherd threw a ball made of rags and wool at a certain something. Another playfully defended that certain something with his crooked staff. Of course, this game of two did not singularly evolve into modern cricket but it makes sense to assume that this was the game at its most primitive stage. And the ball of rags and wool was arguably the first Cricket ball. Today, the best Cricket balls are still manufactured by hand but it’s far more complex than what the old shepherd made. This isn’t a biology class but it is as important because one has to know what one wears. This is the basic shirt dissected. India’s playing? Apart from going out to a Sports bar or reclining on the sofa with the T.V. remote in hand, how else do you support the team? 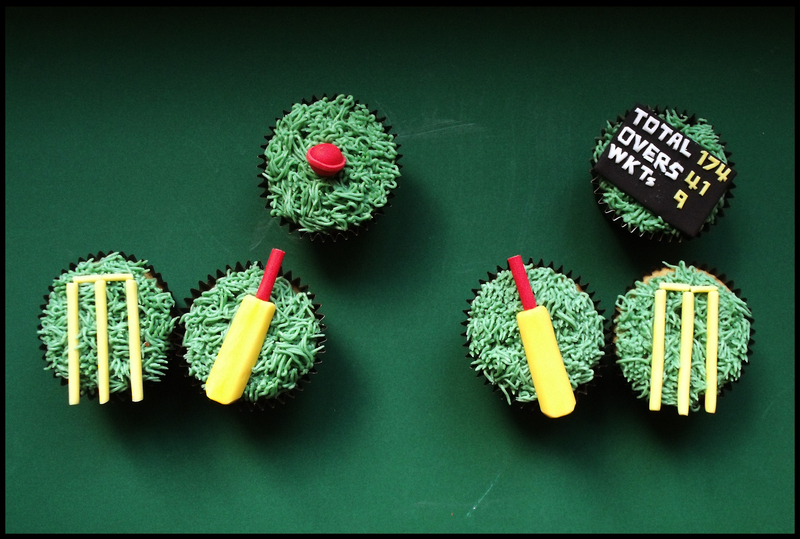 Surprisingly, Cricket cupcakes are unusually good when teamed with your celebratory alcoholic concoctions. And when India wins and if some cupcakes are still there in the fridge, you can take them out for a grand celebration. Here’s what you’ll need to make what one of our colleagues made for the match yesterday. She called them the ‘Cinnapple Muffins’. They were delicious. Line the cupcake tray with cup cake holders. Whisk the egg well for 5 minutes. Add the milk and oil to the whisked egg. Add all the dry ingredients to the mixture of the egg, milk and oil. Add the cut pieces of apples with the honey and vanilla essence. Pour the mixture into the cup cake holders. Frost when the cupcakes are completely cool. Serve them with some Cricket-icing. 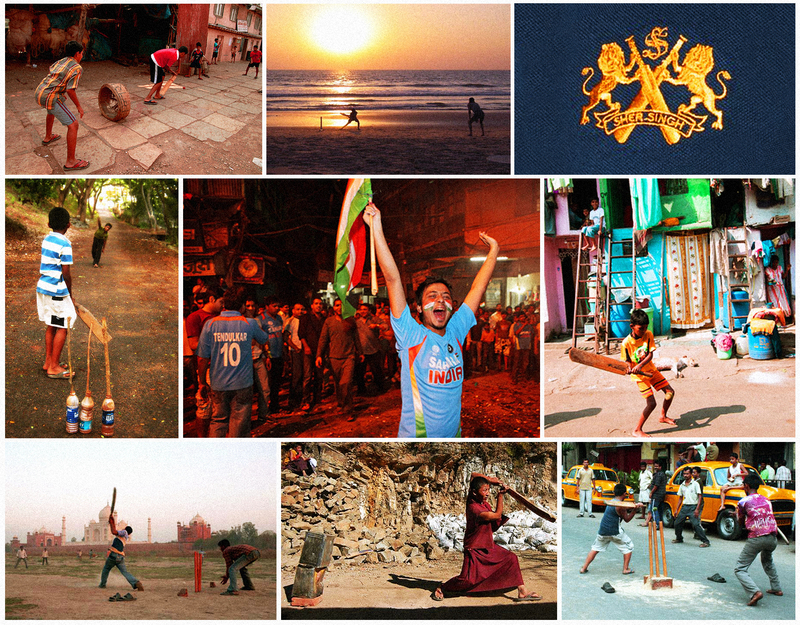 Whether it be the World Cup, the IPL or a match in the neighbouring street, we’ve all been moved, literally, by the drama of the bat and the ball. How do you love your game? 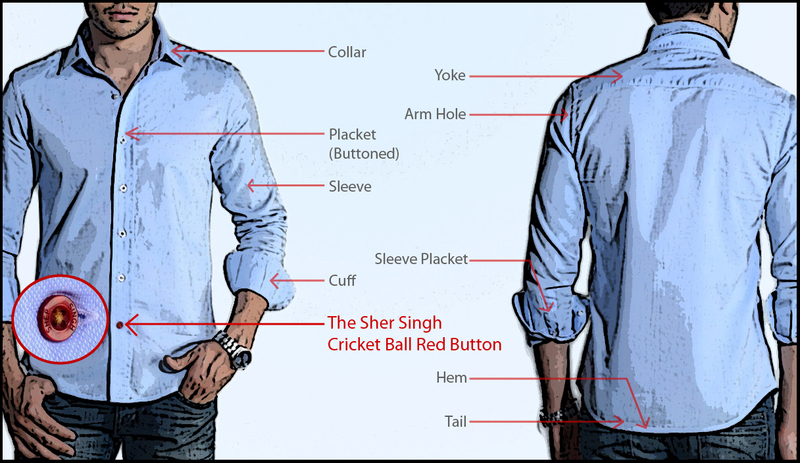 Sher Singh, a contemporary range of apparel, aspires to be India’s first lifestyle brand. Trendsetters and fashion followers can now buy India’s latest style sensation, Sher Singh, delivered quickly and at no cost to their home or office anywhere in India. 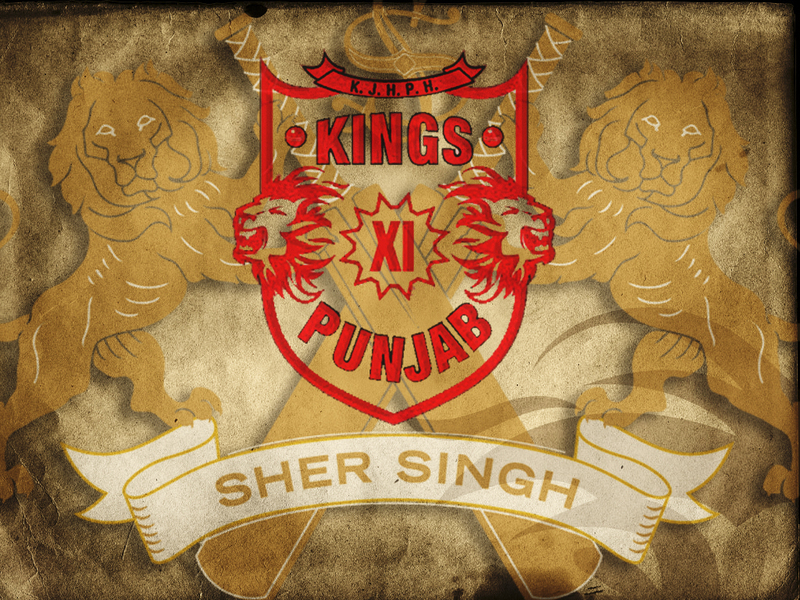 Speaking on the launch, cricketer Zaheer Khan said, “I am excited to be a part of Sher Singh. The brand symbolises stylish contemporary clothing, and I personally love the fit, quality, designs and fabric. Sunjay Guleria, co-Founder and CEO, said, “Sher Singh was conceived with a simple mission in mind: Present a stylish, world-class Indian lifestyle clothing brand to global audiences, and have it stand toe-to-toe with the best of them.